Are All the Rodents Gone? You had a problem with mice or rats in your home, but you think that you or the pest management professional you called in got rid of all the rodents. But how do you know for sure? Are those droppings you found under the cabinets old or new? Certain signs can also indicate the size of a population. If rodents are seen at night but never during the day, the population has probably not gotten too large and can be controlled with traps and bait. If you are seeing any rodents during the day, numerous fresh droppings or new gnaw marks, it is likely that the population has gotten quite large and may require professional services. 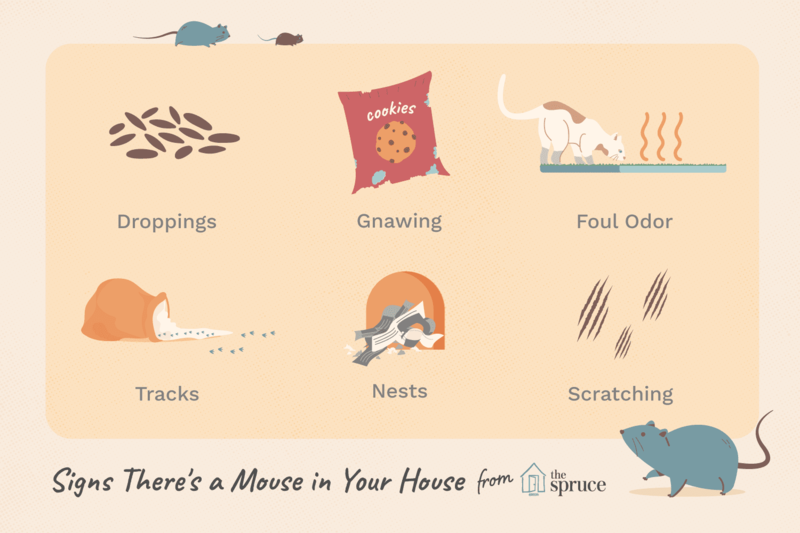 Look for these signs that will help you determine whether you have a current or previous rodent infestation in your home. New droppings are dark and moist. As droppings age, they dry out and become old and gray and will easily crumble if touched. Droppings are most likely to be found near food packages, in drawers or cupboards, under sinks, in hidden areas, and along rodent runways. You will find the greatest number of droppings where the rodents are nesting or feeding, so inspect the area around the new-found droppings to determine if there is still an active (or new) infestation. In contrast to the droppings, newer gnaw marks will be lighter in color and become darker as they age. These will often be found on food packaging or the structure of the house itself. One way to determine age is to compare a gnaw mark you just noticed with those on a similar material that you know are older. If the newly found marks are lighter in color, it could be an indication of a continuing infestation. The marks can also indicate whether you have rats or mice; larger gnaw marks will have been produced by the larger teeth of rats. Thus if you had a mouse infestation, but are now seeing larger gnaw marks, you may now have rats. 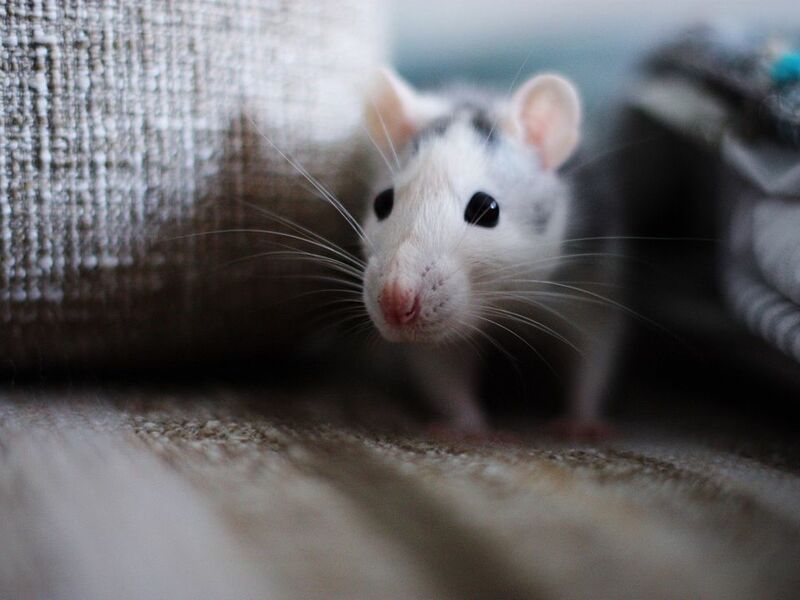 Cats and dogs (or even a pet rat or mouse), may become active and excited in areas where rodents are present. This is a result of the odor of the rodents and is most likely to occur when rodents have recently entered a structure. If you see your pet pawing at an area in which it had previously had no interest, get a flashlight and examine the area for rats or mice. If an infestation is large, you may also detect an ongoing stale smell coming from hidden areas, indicating an active infestation. If rodents are currently active in or around your home, their runways and tracks are likely to be distinctive, becoming fainter as time passes. Tracks or runways are most easily detected with a flashlight or blacklight held at an angle toward the suspected area. You may see smudge marks, footprints, urine stains, or droppings. If you suspect an area is being frequented by rodents, try placing a very thin layer of flour or baby powder there. If rodents are active, you are likely to see their trails in the powder. Rodents will use materials such as shredded paper, fabric, or dried plant matter to make their nests. If these areas are found and have any of the other signs of current presence (fresh droppings, gnawing, odor or tracks) it is likely that there is still an infestation in your home. Rodents are attracted to piles of trash, organic waste, etc. for both food and nesting. If these are present near the home or structure, inspect them for signs of rodents. If there is no indication of rodents, it is likely that they are not coming into your home either. But if you do have such piles present, eliminating them can help prevent future rodent problems.